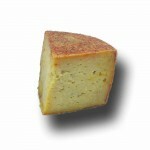 > Cheeses>Mature cheese>Cured emborrado cheese of Grazalemeña sheep. Cured emborrado cheese of Grazalemeña sheep. Cured cheese emborrado of Grazalemeña sheep. An artisanal cheese made with Grazalemeña sheep's milk, cured from 4 to 7 months and treated with the tasty process "emborrado" consisting of its cure with olive oil and wheat bran. 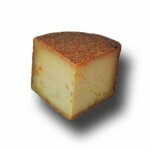 A very award winning cheese, exclusive and hard to find. You can buy this cheese in wedges of 450 - 500 grs. The Merina Grazalemeña sheep, from Sierra de Grazalema, Cádiz, is highly appreciated for the quality of its milk, thanks to the natural environment in which they graze in freedom. It is a milk with a high protein content and with fat intake. They are milked from the end of January until June. This delicious delight is produced by the cheese factory El Bosqueño. Llocated in the province of Cadiz, in the Sierra de Grazalema Natural Park. 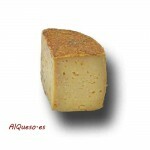 El Bosqueño handcrafted this cheese with milk from Grazalemeñas Merinas sheep, grazing in this mountain range. El Bosqueño is one of the artisan dairies pioneers in the elaboration of exclusive cheeses. Its products have recovered the traditional recipes of Cadiz and have achieved a production of cheese with high levels of excellence. This cheese factory gets year after year international and national awards, highlighting among thousands of cheeses from all sources. 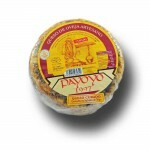 You can buy Curado emborrado de Oveja Grazalemeña in Al Queso, your online shop for artisan cheeses.